Every so often we like to take a survey of our readers to see what you think. Our last survey was in March of 2007, so it’s time for a new one. The questions are focused on the blogs and a little demographic information, which you can skip if you like. We’re sweetening the deal this time. 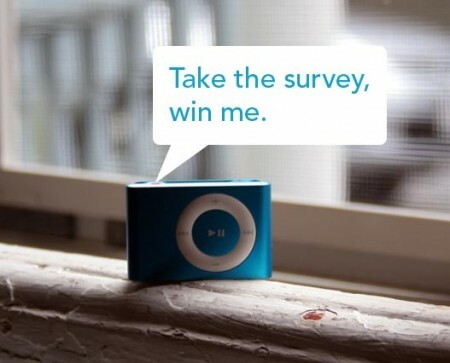 If you take the survey, you can enter your name into the pool and we’ll select one person to win a 1GB iPod Shuffle.